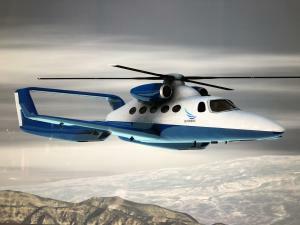 SALT LAKE CITY, UTAH, U.S.A., March 4, 2019 /EINPresswire.com/ -- Skyworks Global Inc., the global leader in gyronautics, will be presenting “The Future of VTOL: Gyronautics” in San Francisco, CA at the prestigious Venture Summit West 2019 on March 6-7, 2019. The presentation will be in the Technology track and feature Skyworks Global’s current and future gyronautics technology (including the VertiJet™ and the eGyro™) which provide tangible solutions to the exploding VTOL market. Skyworks Global Inc. is the world leader in gyronautics, the study and design of sustained autorotative flight represented by the company's gyroplane technology. Skyworks has more than 40 patents with several more underway, all obtained in an effort to radically change not only the way gyroplanes are perceived, but also the way they are utilized. From mass personnel transportation, agriculture, and border protection to literally changing the economies of developing nations, Skyworks' goal is to change the paradigm of aerial technology. For more information about the company, its products, and individual members of the Skyworks team, visit www.Skyworks-Global.com. Venture Summit West is the premier Silicon Valley venture capital industry gathering. The conference is hosted on an annual basis, and features thousands of attendees and hundreds of investor groups.